The Colorlight CLite2 LED Searchlight with FLIR Camera, from IMTRA Corporation, is a compact searchlight designed for boats 13 - 38 metres in length. This high output LED searchlight has unlimited rotation, a beam angle of five degrees and can light up the water around your boat up to 1,500 metres. The CLite2 draws 850W maximum and has a dimmable output of up to 2.4 million candela at 40,000 lumens. It is available with or without an integrated FLIR thermal imaging camera. The StereoActive from Fusion Electronics just keeps popping up everywhere. We were originally introduced to this product at the annual Western Marine tradeshow and reviewed it in our December Holiday Gadget List. Touted as the "world's first portable watersport stereo", it is engineered for life on the water. It is an IPx7 rated, water resistant stereo that floats. It works with the Fusion Puck mounting system that allows you to securely attach it to any paddle board, kayak, canoe or dinghy. The StereoActive has bluetooth streaming, an AM/FM radio as well as Weatherband radio and is compatible with most smartphones and smartwatches. The ActiveSafe Portable Storage Case allows you to keep your phone, ID and keys safe and dry. Standard Horizon's GX6500 Fixed Mount VHF Radio is a commercial grade VHF radio that combines DSC, GPS, Class B AIS, NMEA 2000 and ATIS technology into one device. It has a high-resolution, backlit LCD display, soft touch programmable keys and a large rotary knob for easy channel selection. The GX6500 allows you to connect two optional wired RAM 4 or one wired RAM 4 and four wireless RAM4W remote access microphones giving you full intercom features between crew members. However, the GX6500 does not contain an internal splitter which means you will have to install two antennas, one for VHF and one for AIS. Raymarine’s new Axiom Touch-screen Multifunction Display features the all new LightHouse 3 operating system with incredibly fast quad core performance. It also includes the new RealVison 3D sonar and can be incorporated with the FLIR M100 and M200 to give you features normally reserved for super yachts. The FLIR ClearCruise intelligent thermal analytics provides audible and visual alerts when "non-water" objects are identified. The Axiom is expandable and allows you to add options including Quantum radar, CHIRP Sonar and the Evolution autopilot. 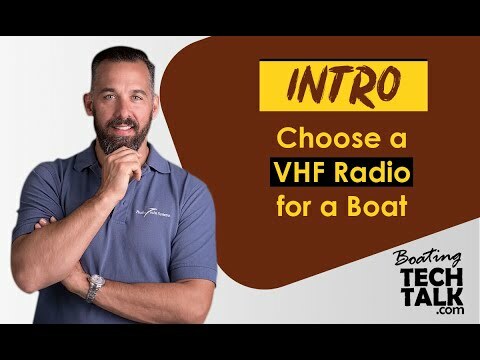 The Axiom includes Wi-Fi and Bluetooth connectivity allowing you access to the Raymarine apps for tablets and smart phones. The display is available in a 7, 9 or 12 inch model. Furuno's 4.01 Software Upgrade brings a number of enhancements to its NavNet TZtouch2 multifunction displays including faster performance and new functions such as CZone digital switching which allows you to control systems such as engine room fans, hatches or pumps directly from the instrument page. As well, Furuno has incorporated radar echo trails which work with their own NXT doppler radar allowing you to visually see the movements of an echo. The colour of the target will turn red and the trail will show you its path in a glance. This new version also includes fuel management data, and the NavNet Remote app for tablets and smartphones. 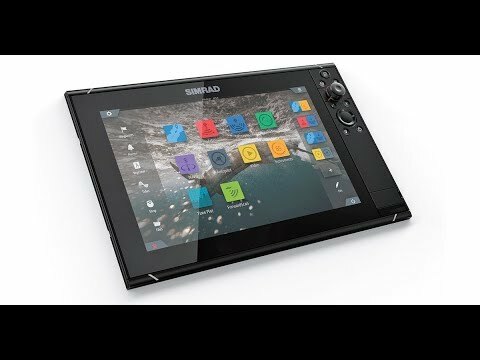 Lastly, but perhaps most significant, are the changes to the edge-swipe touch-screen system for accessing menus and operations making it much easier to use in heavy seas. The new Solix Series from Humminbird features the largest displays in the history of the company. The new Cross Touch display, which allows for both touch-screen and keypad operation, is available in a 12" and 15" model. Designed with anglers in mind, the Mega Imaging includes ultra-high frequency down and side-scanning sonar for super-sharp returns. The series includes Bluetooth connectivity allowing you to keep your phone in your pocket but still see text messages and incoming calls right on the Solix display. 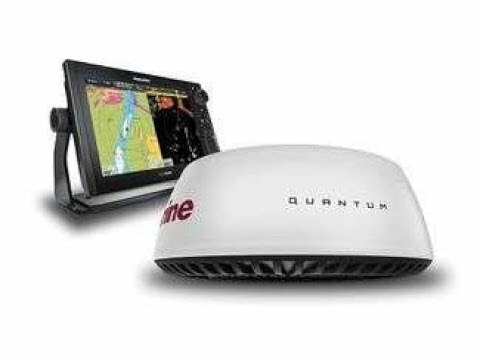 It also includes high-speed ethernet that connects to the Humminbird 306 Imaging, Minn Kota i-Pilot Link, CHIRP Radar and select Helix units. At the end of last year, Lowrance announced the HDS Carbon Series with a new high-performance dual core processor, multi-touch SolarMAX™ HD screen, dual channel CHIRP and Network Dual Sounder. In addition to integrated wireless connectivity that enables anglers to download software updates and map purchases directly to the unit, HDS Carbon features Bluetooth control of multiple Power-Pole shallow-water anchors and Bluetooth audio streaming from the SonicHub2 marine entertainment system. 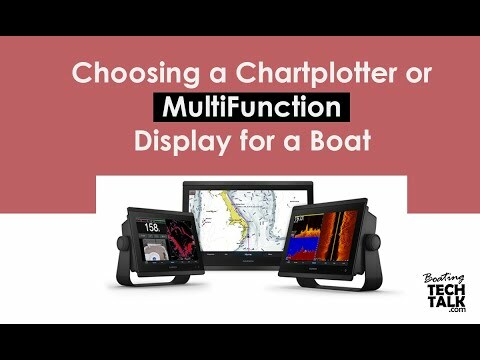 Available in a 7", 9" or 12" model, these units feature built-in C-Map Insight cartography, support Navionics SonarChart Live and can be networked with a range of Lowrance Broadband radar, Outboard Pilot and other systems. Sometimes the options for new electronics can be overwhelming. 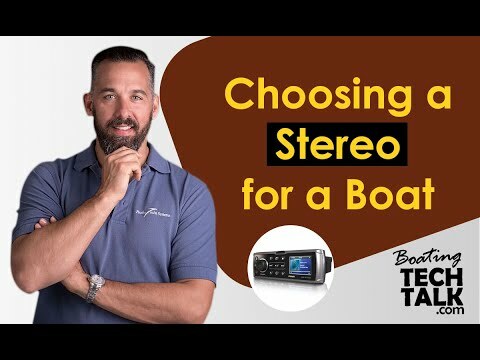 Before you make a big investment in new technology, we always recommend that you take a close look at how you use your boat and then speak to an industry specialist. We are fortunate to have a number of local chandleries that have well-educated employees, not to mention all of the local boaters that are more than happy to offer an opinion. You can learn a lot from fellow boaters who use the product on a regular basis. And if you are curious about the anti-spill wineglasses, they are high quality crystal from Royal Stabilis and feature an integrated magnet that sits on a stainless steel board.